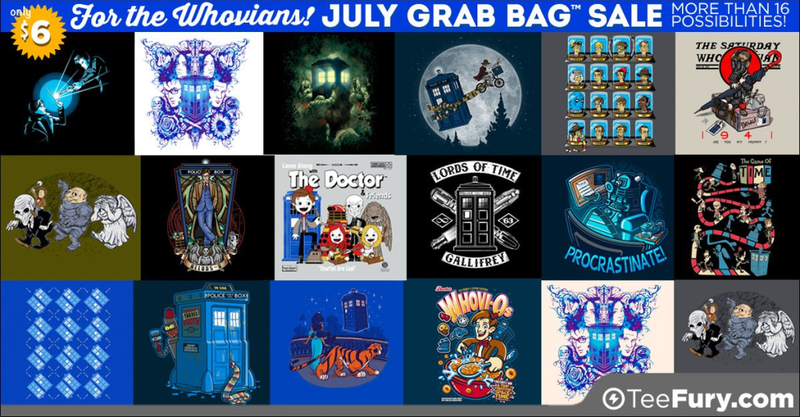 TeeFury is having a blowout grab bag sale!!! You have 2 choices: Whovian or Non-Whovian. I am personally ordering a few Whovian varieties for our house. You can see the more than 16 designs of each camp but not choose your shirt. I personally like all the Whovian choices so we will be happy with whatever we get. And did I mention they are only $6!!! So go grab a few for you and all those you know! These would be great gifts, especially for only $6!!!! And remember, they have kid sizes too!!! (Yes, there are affiliate links here. It doesn’t change your cost but does help to support this site!! !